Does it seem like everyone around you is receiving promotions, raises, and bonuses while you continue to labor away in the same spot at the same rate? Perhaps you are focusing the majority of your energies in areas that seem like they matter more than they do. Ironically, one of those places could be how many hours you are giving to your employer. Yes, being a diligent worker is laudable. However, many bosses take workaholic employees for granted. If you are putting in 60-hour workweeks, you may be exhausting yourself for little gain, stoking the perception that people can easily take advantage of you because you appear to have no leverage. Another misstep ambitious employees often make is setting unrealistic timelines. They want to jump to a new role every two years or switch employers every three. Rather than striving toward supposed industry averages, do what makes sense for your needs and career goals. You will feel less stressed and more prepared to take action if you make decisions based on whether the current opportunity is right, whether it arrives tomorrow or next year. Finally, if all you do is fixate on your job, you will be less apt to climb the corporate ladder. Prepare yourself for career success by maintaining a healthy personal life. Want to get your professional dreams out of a stall? Expand your personal branding and rev up your career and your well-being with these strategies. 1. Give thanks through service. 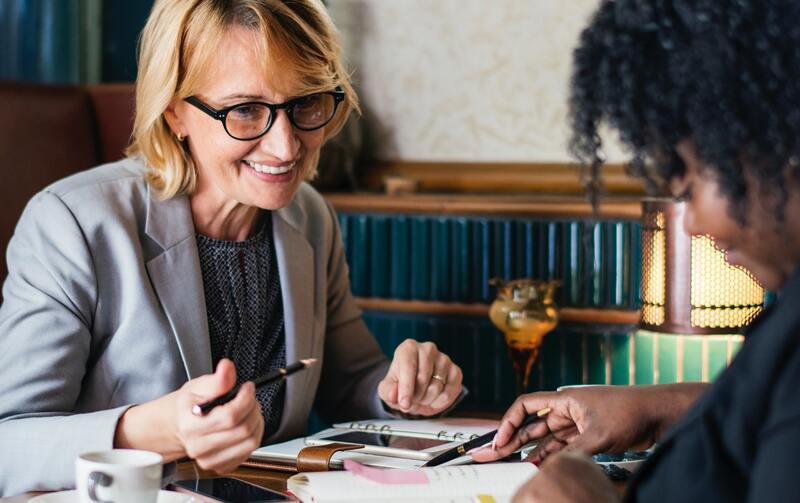 While working for free may seem like a counterintuitive way to advance your career, volunteering to help others in spaces you care about is a terrific way to build your skill set, sphere of influence, and résumé. Seventy-seven percent of Millennials recognize this potential opportunity for professional development, saying they would be willing to donate their time if they could gain a little social cred and career traction, according to the Millennial Impact Report. For example, why not offer to tutor people in areas where you excel? You have invested serious time in developing your capabilities — let others in on the fun. On the other hand, if you have always wanted to try something different, don’t shy away from the opportunity. If your job requires you to focus on big-picture, strategic thinking, you might enjoy a hands-on volunteer gig that lets you directly help someone else, such as Habitat for Humanity’s volunteer building program. Not only will you expand your horizons, but you’ll do it alongside experts and help appreciative neighbors. Don’t bite off more than you can chew, though. If you overcommit your time outside of work, it could lead you to feel stressed, which will have repercussions in every area of your life. 2. Make every experience a classroom event. The day you stop actively learning is the day your career momentum peters out. Jumpstart your appetite for education by exploring the bevy of online and in-person workshops, certification classes, and mentorship programs. Regardless of venue, be sure to choose the ones that fit within your professional goals, such as wanting to increase your current skills base or expand your network. Who knows? You may find that you are so good at what you learn that it morphs into a side gig or a full-time position. In any case, life-long learning is essential to remaining relevant and building your personal brand. Ideally, learning should be rewarding, not exhausting. Just as you budget your income and expenses, figure out where you can pop knowledge into your schedule. Could you listen to an informative podcast while hiking? Take a pottery class with your partner as part of a “date night”? Does your workplace offer growth days that allow you to attend a workshop or focus on continued education for a day? Carve out moments that make sense rather than committing to inconvenient times that end up making you feel burdened. 3. Develop a group of supporters. Behind every successful businessperson is a cadre of cheerleaders and valuable contacts. If you want to get ahead, develop relationships with people in and outside of your industry. Don’t think you’re extroverted enough? Even the most introverted people can enjoy stress-free experiences at networking events such as Chamber of Commerce meet-ups with a little preparation, dedication, and — surprisingly — gamification. For example, set up a friendly competition with a colleague to see who can get the most LinkedIn connections at an event. It doesn’t matter whether you are hustling away at your first or fifth job: Jumpstarting your career “battery” requires a jolt of new energy. These three strategies can help with that process so you’ll soon be ready to soar. William Arruda is the founder of Reach Personal Branding and cofounder of CareerBlast.TV. He is also a bestselling author of books on executive branding and a motivational speaker. He's passionate about how personal branding inspires professionals to become influential and indispensable in their roles. He teaches major global brands how to boost their success through infusing personal branding into their work culture.